A Danish documentary has proved how journalism can play a significant role in alerting the international community to issues and spark change through awareness. Tom Heinemann’s documentary ‘Bitter Grapes’, which unveiled the poor conditions experienced by wine workers in South Africa, was viewed by the jury of the Artur Svensson Prize before they awarded the 2017 award to the South African union Commercial Stevedoring and Allied Workers Union (CSAAWU), which has been fighting for better working rights for winery employees in their country. 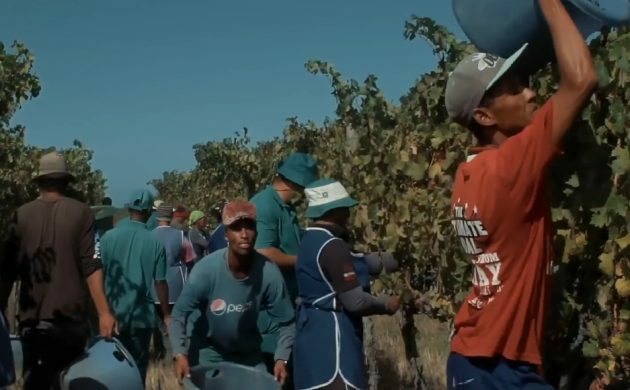 Heinemann’s documentary helped raise awareness about the plight of the workers in South Africa and led to several Danish and Norwegian supermarkets pulling wine produced by the South African vineyards in question off their shelves. “The Norwegian wine importer Vinmonopolet is presently on a lengthy inspection tour of South Africa, and the authorities have tightened the control of the wineries significantly,” said Heinemann according to Kenworthy News Media. The award is handed out by the Norwegian trade union Industri Energi, along with a check for 500,000 Norwegian kroner. According to head jury member and union leader Leif Sande, the award was given to CSAAWU for its sustained fight for bettering the conditions of the wine workers. “The systematic breaches of the basic rights of the workers in South Africa’s wineries are so comprehensive that they resemble slave-like conditions,” said Sande. Watch a short preview of Heinemann’s documentary ‘Bitter Grapes’ below, and read more about his investigation here (in English).